Philadelphia's Schulson Collective, Independence Beer Garden, is an expansive 20,000 square-foot, all-American beer garden overlooking the Liberty Bell and Independence National Historic Park. 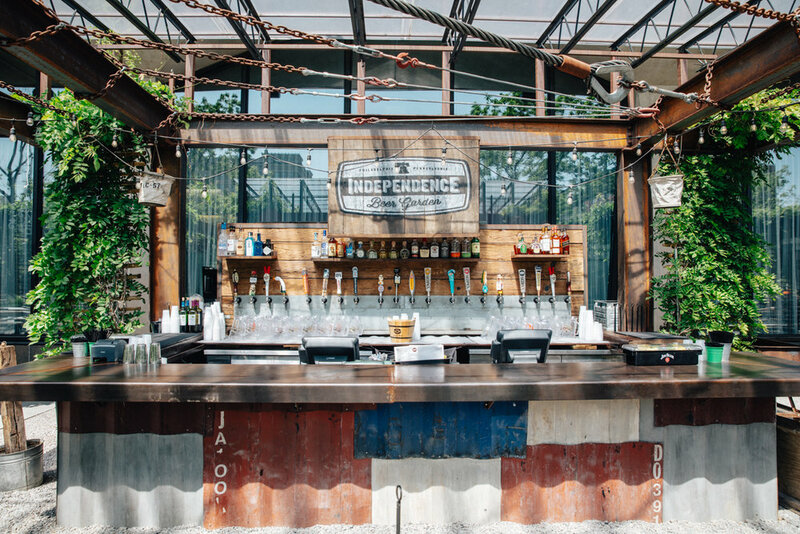 Independence Beer Garden's decor' features reclaimed timber, distressed metals, Tivoli lights, and games, creating intimate moments throughout the sprawling space. A menu of American favorites will go well with the 40 taps of regional and domestic craft beers offered. Please note that the garden is not pet friendly. Opening April 25th for the 2019 season!